Arguably made popular by Swedish furniture giant Ikea, Scandinavian decor is all about functionality, good design, and the color white. 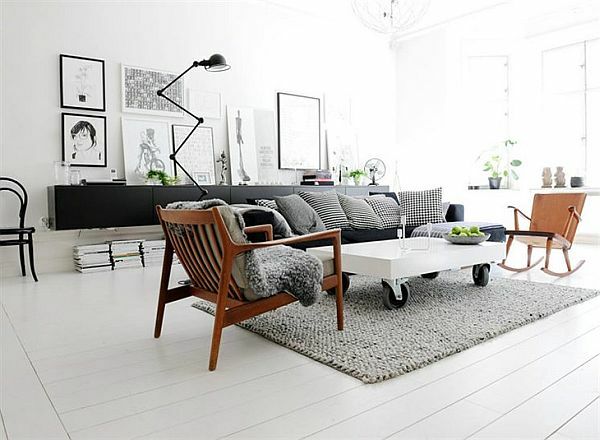 Jokes aside, white is just one of the neutral shades and tones that are de rigeur in the modern Scandinavian style. Natural light and the creation of clear, wide visual spaces are also staples of this decor style. Every detail is carefully thought out. 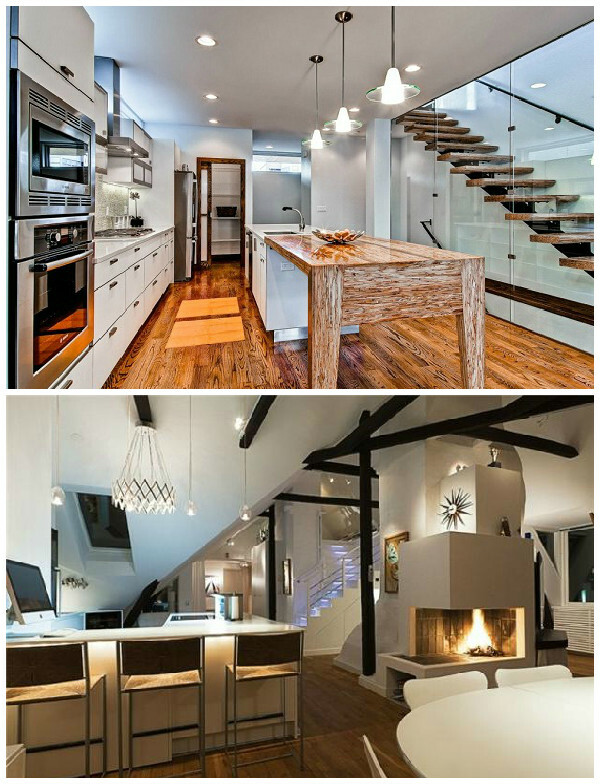 Each piece in a room has a purpose, and everything is well designed in terms of comfort, function, and style. Scandinavian decor has a crisp, no-nonsense aesthetic, but still feels comforting and warm from the consistent use of wood in all its forms. Pop Art comes in different forms because its defining characteristic is the use of imagery from popular culture, which changes and evolves. The most enduring style of pop art is probably the use of bright colors, comic book-type illustrations, and iconic everyday items. The neutral color palette of Scandinavian decor is the perfect backdrop for the colors and bold lines of pop art. Pair striking pop art pieces with simple frames in classic Scandinavian décor form; neutral shades, solid colors, wood textures and finishes. This ties in the artworks with the rest of room in a subtle way. Scandinavian décor emphasizes letting natural light flood the space during the day. At night, it takes on an atmospheric, ambient quality with soft, and sometimes indirect lighting. Modern Scandinavian décor doesn’t shy away from unique light fixtures that experiment with the way light falls throughout the room. Take advantage of this and place your pop art pieces in a well-lit part of the room, perhaps on an uplighted wall or next to a floor lamp. 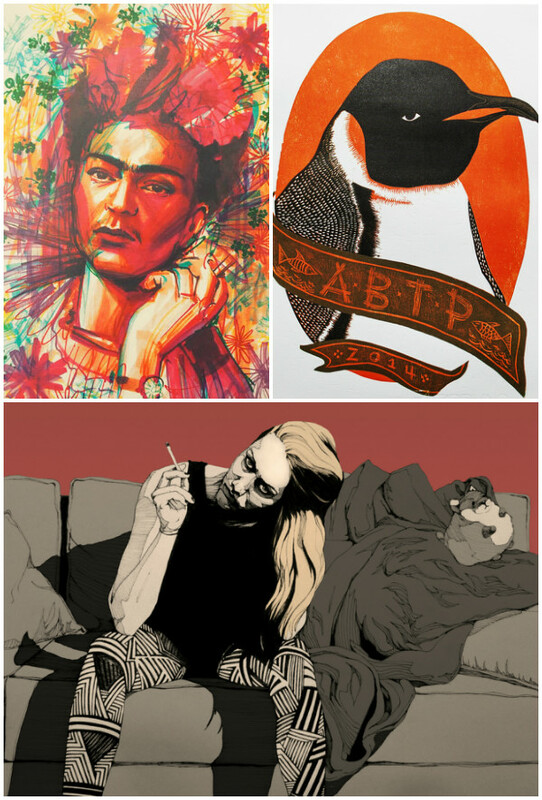 Clockwise from top: Frida by Ael Lim, A.B.T.P - Emperor Penguin by Kim Taco, and Untitled by José Pereira. 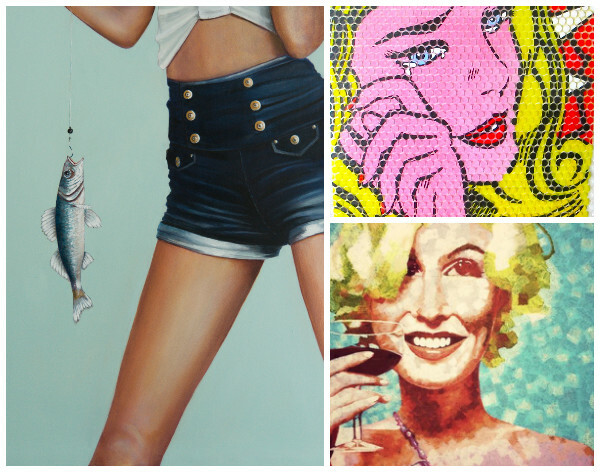 Clockwise from left: The Fish Take the Bait by Al Mazzaglia, The Crying Girl by Alicia Wee, and Young Marilyn Monroe by Sze Meing Tan.